We make complex components of CNC turning and milling on customer request for sustainable design. With our know-how we aim and guarantee the best results respecting the times. With constant technological investments and using technicians and skilled workers we are able to develop, realize and satisfy any kind of request in small, medium and large series both in turning and in CNC milling. GC Carminati s.r.l. 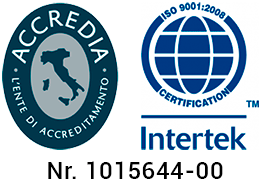 certified in 1997 ISO 9002 work, where necessary in SPC assuring an absolute qualitative standard. The Gc Carminati has been operating in the field of high precision mechanics since 1974. The Gc Carminati , born in the 1974 as processing in small metal parts has expanded with constant technological investments, inserting itself in the field of high precision mechanics. Taking advantage of the collaboration of qualified technicians and skilled workers, it is able to develop, implement and satisfy, with the use of programming systems, any type of request in small, medium and large series both in turning and CNC milling . The company derives in 1997 ISO 9002 work, where necessary in SPC ensuring an absolute quality standard. We produce complex CNC turning and milling components at the customer’s request for a sustainable design. We guarantee the best result respecting the times.